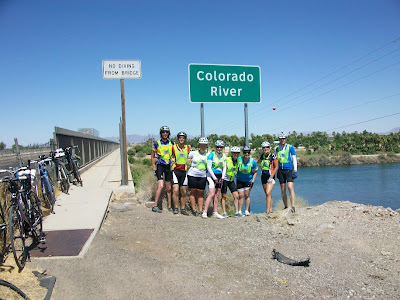 Thursday - We've crossed the border from California into Arizona. Although the interstate shoulder had been gracefully cleaned for in California, they weren't as helpful in Arizona, so the shoulder was covered with tire debris. I believe we've had over 30 flats among the hundred or so riders, including two of my own. After the second flat, I inspected my tire closely and found a small piece of wire from a blown truck tire sticking through. It got really hot as the day progressed, with some people's bike computers reading 45 C. I admit, the heat was starting to get to me, but the people at the SAG stops were life savers with ice cold water and ice soaked towels to cool us down. We were originally expecting to have to camp outside on the only green grass within 50 km, but the nearby air conditioned building became available to us. God has really been providing for us on this tour. 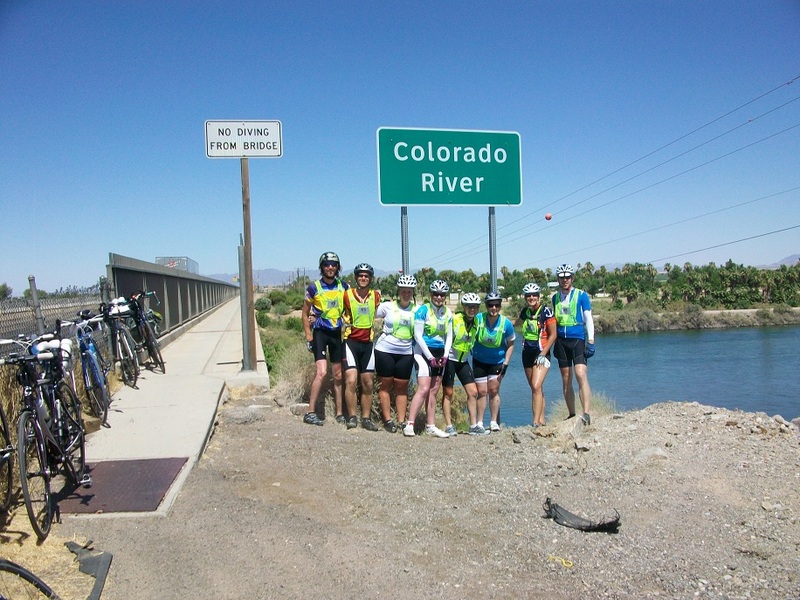 Here is a group of us crossing the Colorado River into Arizona.